^ 1.0 1.1 England Player Honours – Professional Footballers' Association Young Players of the Year. England Football Online. 2007-06-19 [2008-03-15] （英语）. ^ United trio nominated for Player of the Year award. Standard Evening. 2007-04-16 [2016-12-20] （英语）. ^ 3.0 3.1 Rooney secures young player prize. BBC Sport (British Broadcasting Corporation). 2005-04-24 [2008-03-17] （英语）. ^ Too much too young?. BBC Sport (British Broadcasting Corporation). 2001-04-20 [2008-03-17] （英语）. ^ 5.0 5.1 Gerrard named player of the year. BBC Sport (British Broadcasting Corporation). 2006-04-23 [2008-03-14] （英语）. ^ Ronaldo secures PFA awards double. BBC Sport (British Broadcasting Corporation). 2007-04-22 [2008-03-14]. ^ Keane claims award double. BBC News (British Broadcasting Corporation). 2000-04-30 [2012-04-23] （英语）. ^ Sheringham wins second award. BBC Sport (British Broadcasting Corporation). 2001-04-29 [2012-04-23] （英语）. ^ Players honour Bellamy. BBC Sport (British Broadcasting Corporation). 2002-04-15 [2012-04-23] （英语）. ^ Henry honoured by peers. BBC Sport (British Broadcasting Corporation). 2003-04-27 [2012-04-23] （英语）. ^ Henry retains PFA crown. BBC Sport (British Broadcasting Corporation). 2004-04-25 [2012-04-23] （英语）. ^ Ronaldo secures PFA awards double. BBC Sport. 2007-04-22 [2016-10-23] （英语）. ^ Ronaldo named player of the year. BBC Sport (British Broadcasting Corporation). 2008-04-27 [2012-04-23] （英语）. ^ Giggs earns prestigious PFA award. BBC Sport (British Broadcasting Corporation). 2009-04-26 [2012-04-23] （英语）. 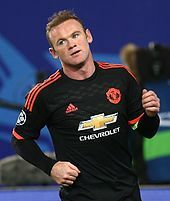 ^ Rooney is PFA player of the year. BBC Sport (British Broadcasting Corporation). 2010-04-25 [2012-04-23] （英语）. ^ Spurs' Gareth Bale wins PFA player of the year award. BBC Sport (British Broadcasting Corporation). 2011-04-17 [2011-04-18] （英语）. ^ Arsenal striker Robin van Persie named PFA Player of the Year. BBC Sport (British Broadcasting Corporation). 2012-04-22 [2012-04-23] （英语）. ^ Luis Suarez: Liverpool striker wins PFA Player of the Year award. BBC Sport. British Broadcasting Corporation. 2014-04-27 [2014-04-27] （英语）. ^ Tottenham striker Harry Kane named PFA Young Player of the Year. Goal.com. 2015-04-26 [2015-04-26] （英语）. ^ Riyad Mahrez: Leicester City forward named PFA Player of the Year. BBC. 2016-04-25 [2016-04-25] （英语）.